Ahhh, the good ol’ summer vacation. Can’t you just taste it already? The sweet cocktails, the new and exciting foods, the blazing sun beating down on your back. Mmm. Ahhhh. Oops, sorry! We got a little carried away there. In the run-up to your summer vacation, you probably spend weeks packing and repacking your suitcase, making sure you pack the right items. Of course, you’re always going to need three changes of clothes a day – because why keep it casual when you’re on your vacay? 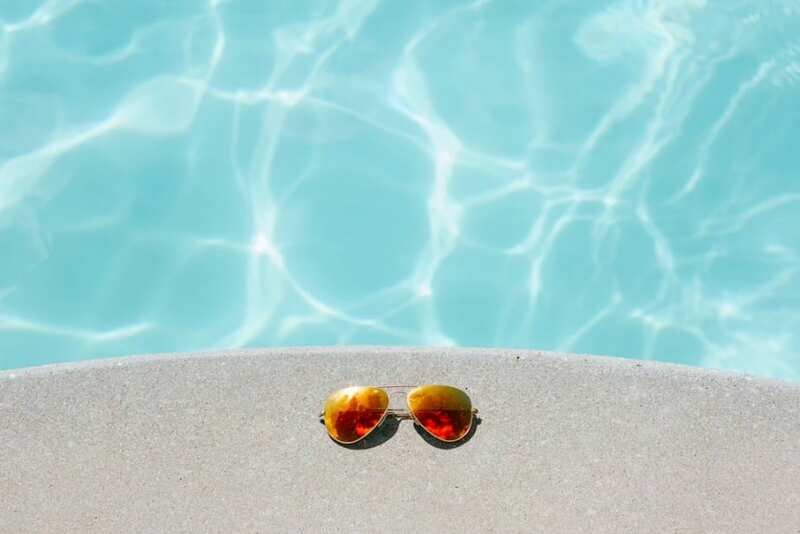 You’ll need a good pair of glasses to hide the fact that you’re snoozing by the pool, and you’ll need some sunscreen… because you do NOT want to return home looking like a lobster. Y’know, unless that’s your thing. Yet, it seems you might want to wear also want to wear sunscreen before your plane lands. Before your flight takes off, you probably ensure that you’ve packed everything – although there’s still a high chance you still left your cell phone charger at home. You also make sure you’ve got some in-flight entertainment, like a magazine or a movie downloaded on your tablet. Of course, you also need to make sure you have snacks for the journey (duh). But have you ever made sure that you have applied sunscreen before you fly high in the skies? Most of us don’t, but experts now suggest we should apply sunscreen before and during your flights. Despite the fact that you are covered by a metal container in the air, experts have confirmed that ultraviolet rays are still able to pass through the windows of the airplane – which can prove harmful to your skin and body. In fact, these rays are much more harmful up in the air as they are on the ground. Because they have further to travel, these rays are much stronger, and the airplane windows do not protect you from them. One 2015 study has noted that pilots spending just 56 minutes in the cockpit at 30,000 feet were subjected to the same amount of cancer-causing radiation as someone who has spent the last 20 minutes on a tanning bed. Obviously, if you’re sitting near a window seat or just within sitting distance of a window, this radiation came filter through and damage your skin. Because of this, experts suggest that you should wear sunscreen whenever you board a flight to protect yourself. If you’re on a long-haul flight, you’ll then need to re-apply even more sunscreen every two hours. After all, you need to check yourself before you wreck yourself! When you go on vacation, you probably don’t even think about applying sun lotion BEFORE you get to your final destination – but the experts have spoken. So, to keep you and your skin healthy, it’s always best to slather yourself before you expose yourself to any form of sunlight!